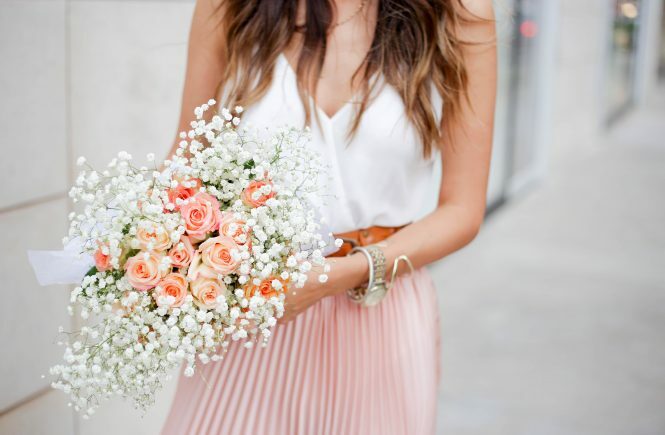 If your looking for the perfect casual summer look, this is it. 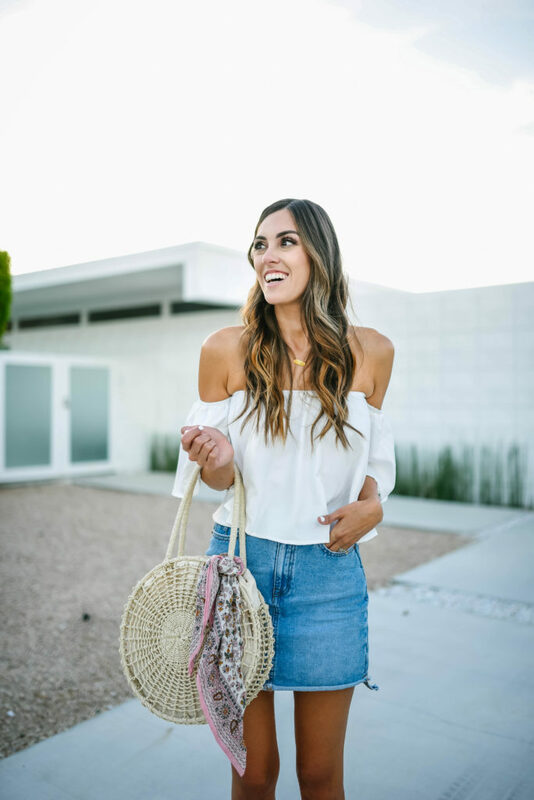 From the hot days and nights, but still wanting to look cute and put together, then you can’t go wrong with a off the shoulder top and a simple denim skirt. 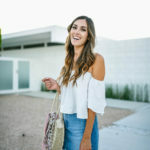 Mind you that this off the shoulder top comes in a ton of colors and is only $9…like what???? 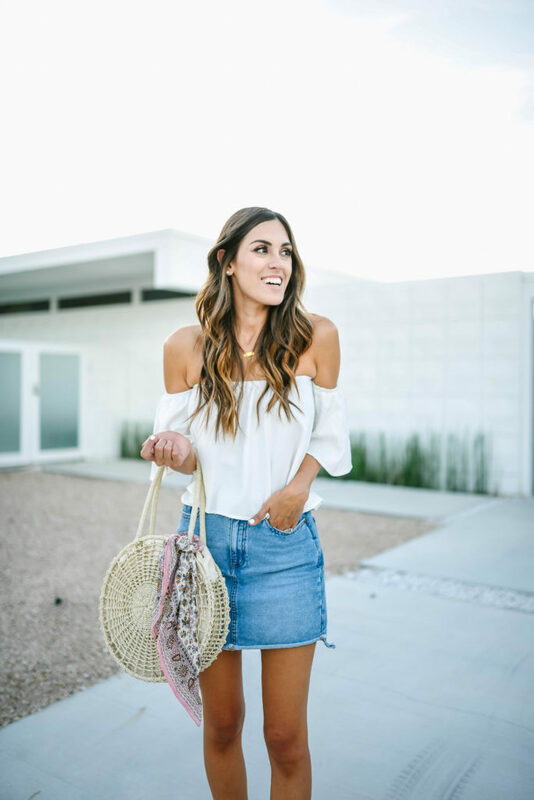 Plus my denim skirt is only $40, making this look under $50…seriously such a steal!! I wore this outfit when we arrived to Palm Springs last month and can’t believe I haven’t shared it with you guys, so today seemed like the perfect day to do so. Hope you guys have a great Monday!! !